Adam Lallana is an English professional footballer. He currently plays as an attacking midfielder for Premier League club Liverpool and also represents England in International level. Further, he has made more than 30 appearances for England since his international senior debut in 2013 and was also the member of the team at the 2014 FIFA World Cup and UEFA Euro 2016. Lallana has an estimated net worth of $19 Million and earns $74,000 as weekly wage form Liverpool FC as of 2019. He started dating Emily Jubb in 2006 got married in 2013. The couple has been married for 5 years now and has two sons, Arthur Michael, and Albie George. Let’s take a glimpse on Adam Lallana’s career as well as his personal life. Adam Lallana is an English professional football player. He plays as an attacking midfielder for Premier League club Liverpool and also represents his national team, England. After his international debut in 2013, he has made over 30 appearances for England and represented them at the 2014 FIFA World Cup and UEFA Euro 2016. Adam Lallana was born as Adam David Lallana on 10th of May, 1988, in St. Albans, Hertfordshire, England. 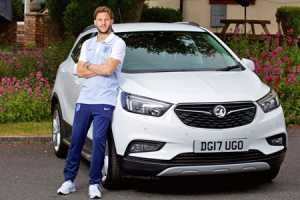 He was raised by his parents, David Lallana and Sharon Lallana. Adam’s nationality is British and his ethnicity is white. Also, his zodiac sign is Taurus. When he was young, his parents move to the Ilford area of Bournemouth. In addition, Lallana joined Corpus Christi School followed by St. Peter’s Catholic Comprehensive School. During Adam’s childhood, he was a great fan of Everton, like his father. He first set out his foot with Bournemouth football club, representing them on a youth level. Later in 2000, Adam was transferred to Southampton where he developed as a professional player in their academy. Talking about Adam Lallana’s profession, Adam joined the first-team squad in July 2006 after playing for 6 years as a young player for Southampton. He made a debut for the team on 23rd August 2006 against Yeovil Town in the League Cup. Further, he led his team to FA Youth Club final and semi-final in the year of 2004-2005 and 2005-2006 respectively. Thrilled to be part of the England Euros set up, should be a great tournament! Later on 18 April 2014, Adam was named one of the six players on the PFA Players’ Player of the Year Award shortlist. On 27 April 2014, he was named to the PFA Team of the Year together with a teammate, Luke Shaw. After Lallana’s return from 2014 World Cup, he signed for Liverpool. He also received the number 20 shirt, the number that he wore during his time in Southampton. Furthermore, Adam made his debut on 13 September as a replacement for Raheem Sterling against Aston Villa. He also scored his first debut goal against West Bromwich for Liverpool on 4 October 2014. From then, he has done wonderful things every year in the redshirt season after season. Besides, the tenancy of an attacking midfielder was not short on injuries. At the final of the Audi Cup, he suffered a long-term injury while playing against Athletico Madrid, which kept him out for several months. In the 2018 UEFA Champions League Final against Real Madrid, he replaced Mohamed Salah in the 31st minute, as the injured winger left the stadium in tears. Later on 10 September 2012, he was first called to the senior England team for the 2014 World Cup qualifying match against Ukraine but he was not fit for the match. Adam was named in the 23-man England team for the 2014 FIFA World Cup on 12 May 2014. Further, he made his competitive debut in the first group stage match against Italy on 14 June, coming as a substitute for Daniel Sturridge in the last ten minutes. Additionally, Adam was one of five players named on standby for the 23-man England national team squad for the 2018 FIFA World Cup on 16 May 2018. How Much Is Adam Lallana’s Salary & Net Worth? 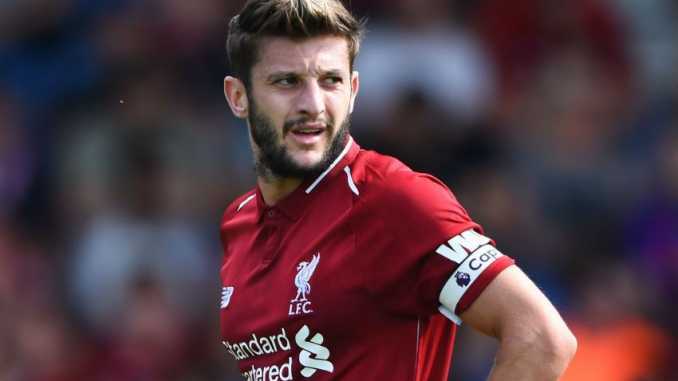 Adam Lallana has an estimated net worth over $19 Million and maintains a decent amount of salary reported to be $74,000 weekly form Liverpool FC as of 2019 while Alisson Becker, Mohamed Salah, Roberto Firmino are among the highest earners of the club. In addition, Lallana’s annual salary is reportedly around $ 4,203,333 as per the contract with Liverpool Fc. Apart from his salary, he has also invested about $9 Million in some prolific things. As an avid car lover, he owns four luxury cars which include Audi RS7, Audi S7, Vauxhall Grantland X, Land Rover Vogue which cost almost $1 Million in total. Furthermore, Adam has been promoting the football boots of PUMA on in social media account which suggests that he has an endorsement deal with the company. Lallana might be earning well from the deal. Adam Lallana is active on social media. He has a huge number of fan following on his social accounts such as Facebook, Twitter, and Instagram. Moreover, he has 1.6 Million followers on Instagram as well as 140K followers on Twitter. He has also 357,288 followers on Facebook. Adam Lallana has a sportive personality with a height of 5 feet 8inches (1.72 m) and weighs around 73Kg (160lbs). Furthermore, the star English player, Lallana has a perfectly built athletic body and fans are crazy about his current Side Part-Loose Curls-Low Fade haircut. Adam first showed with that haircut at Liverpool’s practice session and quickly went on to headlines in the social media. Coming up to Adam Lallana’s personal life, Adam is currently in a romantic relationship with Emily Jubb. The duo started dating in 2006 which was the same year that he got promoted from the Southampton youth team to the senior team. Their relationship has really been in the test of time. After the couple got engaged, Adam and his wife had originally planned to tie the knot in June 2014. Unfortunately, the period clashed with England’s opening game at the 2014 FIFA World Cup. As a result, they had to shift the wedding for 6 months of duration. They settled for a wedding at Poole Register Office in Dorset on the 24th of December 2013. Prior to tying the knot, they already had a son, Arthur Michael (born 26 September 2012). On 3rd of June, 2015, the couple welcomed their second son, Albie George. Adam Lallana’s wife lives her life shrouded in privacy, away from the ever-prying eyes of the media. We can expect that the couple is living a happy married life without any ups and downs in their personal life as of now. 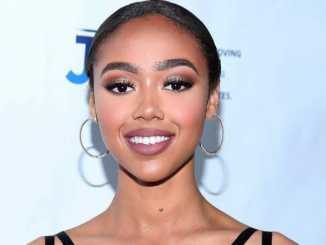 Last Updated on September 18th, 2018Being a famous model and daughter of producer Jimmy Jam, Bella Harris was already in the spotlight but her recent dating rumor with Drake led her to another level of prominence. Following the buzz, many (Read more)….